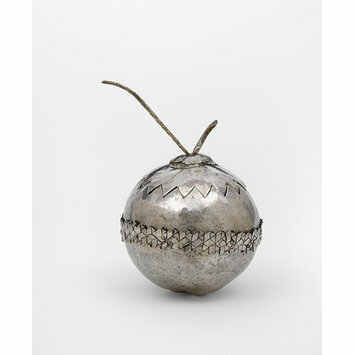 This ceremonial box takes the form of a coconut, which is the heart and soul of Malay cooking. The box was for holding the first shaving of a baby's hair during the Bercukur ceremony to celebrate the arrival of a newly born baby. Poorer families used a fresh young coconut. 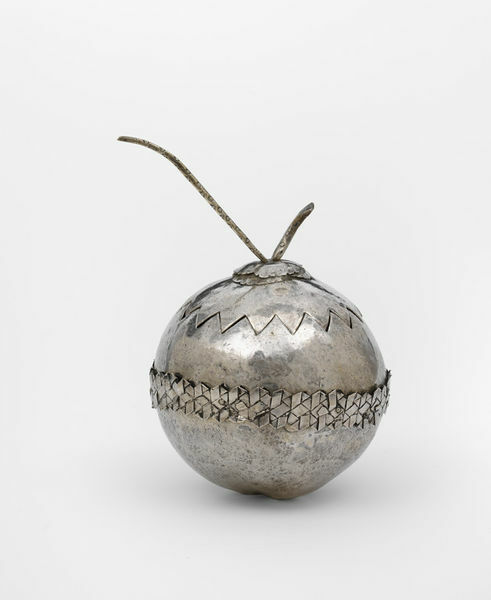 Box and cover of silver, in the form a coconut with a stalk handle on the cover. Lid and mouth of box with saw-toothed edges and plaited silver strips round the lower part of the box.